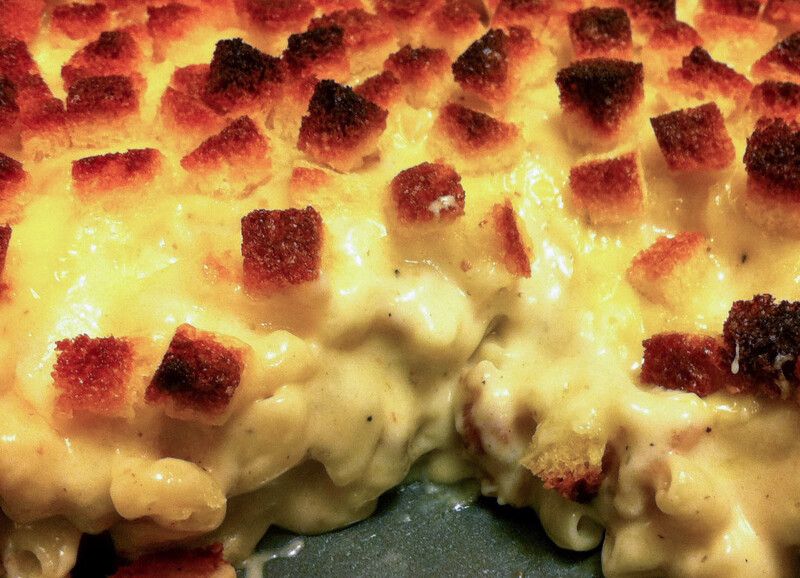 The RoboGourmet — A roboticist shares his views on food, wine, gadgets, and more. 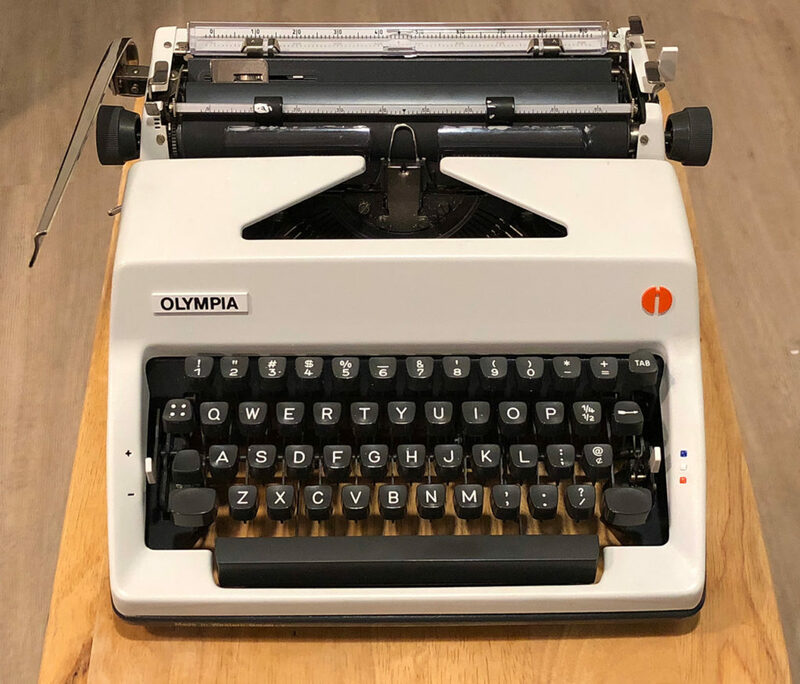 I recently purchased a 1978 Olympia SM9 portable typewriter, and though by 1978 the quality of Olympia typewriters had started to decline, in the opinion of some, I still expected a solid, reliable, German typewriter. When I started typing on this typer, everything seemed to work fine, but occasionally the carriage would jam towards the end of a line, before the right margin stop. The type would still hit the page, but all in the same spot, as the carriage would not move. Hitting the margin release and wiggling the carriage would free it, but there was no guarantee as to whether I could reach the end of the next line without jamming again. This was a bit worrying, as jamming carriages can be a symptom of serious mechanical problems in a typewriter. Still, this typer appeared to be in great shape, and appeared to have been professionally serviced sometime. 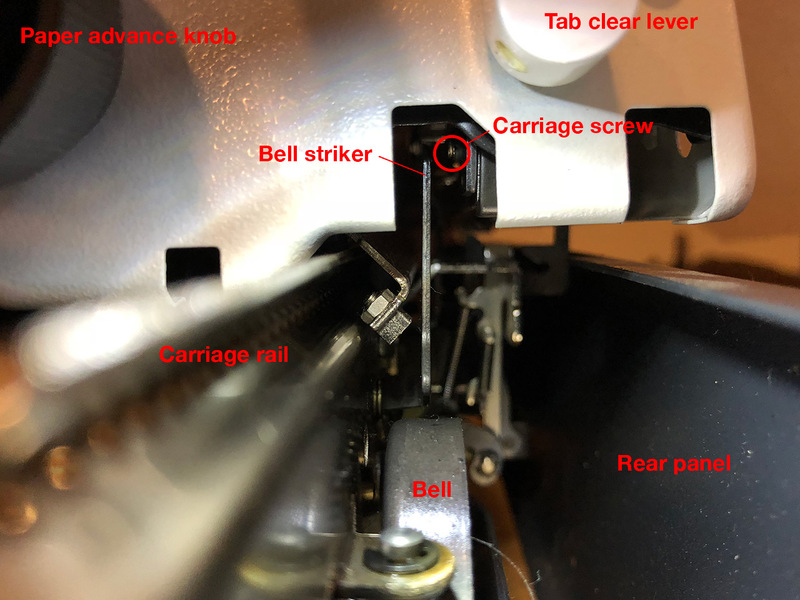 I ran a few more test lines to see if I could identify the problem; I noticed that the jamming seemed to occur right after the bell was struck, and sure enough, on the next jam, I could see that the striker was getting caught on a carriage screwhead. Somehow, the striker was leaning too far backwards and occasionally it would catch on this screwhead on the carriage and cause it to jam. Gently bending the striker forward so it stood straight up-and-down fixed the problem and all was well. Well, now I just need to clean the type and fix the return spring on the margin release. Looking down the carriage rail from the right side. The bell striker (center), if leaning too far backwards, will catch on the carriage screw, causing it to jam. As with my previous article on moving to Washington DC with a car, here are my notes on moving to Virginia with a car. Virginia actually requires more stuff than DC, annoyingly. I moved to northern Virginia, specifically Arlington, and my impression is that the police around here are also very interested in making sure you register you car within 30 days. They also have patrols to look for out-of-state vehicles. If your car was purchased within the last 12 months, you’ll need to pay a one-time Virginia sales/use tax (something like 4.05%). Also, in many localities (cities/counties), you need to pay Personal Property Tax annually that’s based on the value of the car; I paid $33 for a 15 year old car. If you line up all your ducks in a row, you can take care of driver’s license, title, and registration all in one trip to the DMV. There’s a separate thing for paying Personal Property Tax and getting a parking permit (optional), but that’s locality (city/county) based and can be done online. You need to have Virginia vehicle insurance. I just called my previous company and they set me up. Don’t forget to cancel your old policy when your new policy goes into effect! They should refund you for any premium payments you made for the portion of the policy after your cancellation date. An emissions inspection every two years is required for registration in the counties of Arlington, Fairfax, Loudoun, Prince William, or Stafford, or in the cities of Alexandria, Fairfax, Falls Church, Manassas, or Manassas Park. If you were inspected within the last twelve months and have the certificate from one of the following states: Arizona, California, Colorado, Connecticut, District of Columbia, Georgia, Illinois, Indiana, Maryland, Massachusetts, Missouri, New Jersey, New York, North Carolina, Ohio, Oregon, Pennsylvania, Tennessee, Texas, Utah, Washington, Wisconsin, you don’t need to be inspected for a year. An annual safety inspection is required by the state police; you get a decal that goes on the middle of the bottom of your windshield. If you fail, you get a rejection sticker and have to get the problems resolved and reinspected with 15 days. Unlike DC, the inspection facilities are not run by the government and are typically privately run garages. I did the Yelp thing and looked for a place with good reviews. I ended up with Community Car Care in Alexandria, which is decent. When you pass emissions, you get a print-out/certificate of your test results. Keep this – the DMV gets it electronically, but it helps to have it in case something goes wrong. And your next state might accept it. Proof of Identity (2 required) – typically a passport, birth certificate, and/or out-of-state ID. Proof of Virginia Residency – Lease was fastest for me. Renter’ insurance, utility bills and bank statements are acceptable as well. They, of course, have to reflect your Virginia address. Proof of Legal Presence – typically the same documents as proof of identity, but has to show you have a legal right to be in the US. The Virginia DMV also has a Document Guide page to help ensure you have all the right documents. The title from your previous state or registration card from your previous state. Virginia DMV will give you a VA title. Don’t lose this! You’ll need it the next time you move! Proof of address – same as the proof of Virginia residency you used for your driver’s license. Proof of purchase price – only needed if you purchased your car in the last 12 months. This is to collect sales tax on your car. Otherwise, you’ll be asked to sign a statement that you purchased your car over a year ago. Inspection certificate – needed if you’re using your out-of-state inspection that was done within the last 12 months. I lost mine, so I had to go get an inspection done. The DMV will temporarily register your car for 30 days while you get that done, and then you need to reregister. Fortunately, this can be done online. Application for Title and Registration – new titles/new tags. Select how many years you want to register your car (one or two). It will ask if you want an electronically recorded title. This is good if you plan to stay in Virginia long term, but if you expect you might be moving, get a paper title so you don’t have to request one when you move. I don’t believe that they asked for proof of vehicle insurance when I was at the DMV, but you are required to have it and on the registration form you do have to certify that you have sufficient insurance. There are a number of DMV offices. Go early, before opening if possible and preferable on a weekday. Also note that while most offices are open on Saturday, they’re only open from 8am to noon. The initial line is for the information desk, where they will give you a number based on what services you need. They will also check to see if you have the right paperwork. Then there’s a waiting room where you wait until your number is called. You will be instructed to go to a specific counter. They accept cash, check, money order, or major debit/credit card. As I mentioned above, many localities require you to pay personal property tax on your car annually. Many of them, like Arlington, handle this online. You get a decal that goes on your windshield that local police look for. They also handle parking permits, if required in your area and you have to park on the street. I bought a nice Samsung 500GB SSD recently to replace the ol’ spinning disk that came with my 2010 15″ MacBook Pro (Snow Leopard). Pricing had finally come down to reasonable levels ($280) and this helps stave off my itch to upgrade (eyeing the 13″ Retina MBP). Prior to the upgrade, I was running a triple-boot setup with Mac OS X, Ubuntu 12.04, and Windows 7 x64. I didn’t use the Ubuntu partition much, so I decided to dump it and fold the space into the Windows partition, with the intention of running Ubuntu in a VM (or just using Cygwin more). My first problem came when I discovered that my utility for disk cloning, Acronis True Image, didn’t work on MacBooks due to the weird way Macs boot. I cloned the Mac OSX partition using a trial copy of Carbon Copy Cloner, with my new drive plugged into a SATA to USB/eSATA dock that I have. That left me with Mac OS X taking up the entire drive. I installed the SSD in my MacBook, following the instructions from iFixIt. I skipped the battery removal – it’s not really required and I don’t have the tri-wing driver needed to do so. Used pliers to get the screws off/on the side of the drive since I couldn’t find my Torx kit. After booting into Mac OS X with my new drive, I used the Boot Camp Assistant to shrink the Mac OS partition down. At this point, I tried using Clonezilla to clone my old Windows partition over into the newly created Boot Camp partition, but I could not get it to boot, no matter what. I tried the Windows Startup Repair tools, various command line bcdedit things, etc., to no avail. I would always get “A disk read error occurred. Press Ctrl+Alt+Del to restart.” The partition was readable in Mac OS X, but it just wouldn’t boot. Now exit DiskUtil and fire up the BootCamp Assistant and create your BootCamp partition to whatever size you want. Follow all of the instructions including inserting your Windows 7 installation disk and the click the “Install” button. and continued from there. Reinstalled Windows. Cloned my old Windows partition on top (with the -m and -r flags and without the -j2 flag in Clonezilla, as stated in the instructions). Did the bdcedit bootrec dance to rebuild the BCD. After all that, all was well, and Windows 7 boots speedily! I’m not entirely sure what the problem was – it might have been because I had GRUB installed previously. Or maybe it was an issue with the BCD store in Windows. Les Misérables is one of the greatest musicals of all time and I was really looking forward to the movie adaptation. While an OK movie, sadly, it falls far short of what it could have been, with significant flaws. Let’s start with casting – Russell Crowe was a bad choice for Javert. While Crowe doesn’t have a bad voice, it’s simply too angelic (“little boy” was what I called it walking out of the theater). Javert needs far more grit, more punch. Anne Hathaway delivered a good performance, but she did not fit my preconception of Fantine as a somewhat older woman. Hugh Jackson was pretty good as Jean Valjean and Samantha Barks, the West End veteran, was excellent as Eponine. I was initially delighted to see Sacha Baron Cohen and Helena Bonham Carter as the Thenardiers, but their performances seemed restrained from the heights of ridiculousness I know they are capable of and their performances lacked the joyfulness/silliness the parts are known for. Eddie Redmayne and Amanda Seyfried as Marius/Cosette were fine, but there was no chemistry there, but then, I’ve never seen a performance, either on stage or screen, where I’ve really connected with that romance – I just don’t buy the “love at first sight” bit. Colm Wilkinson, the original Jean Valjean, has a small part as the Bishop who initially sets Valjean on the road to self-reinvention. Tom Hooper, noted for “The King’s Speech”, directs, and he makes a number of interesting decisions. The first is that all the singing is captured live – there is no lip-syncing. I’m of two minds about this. I think it’s a very bold move and certainly connects the viewer to the performance in an more visceral way. I always notice lip-syncing and it’s a bit distracting, though I typically forgive it when the recorded performance is good. However, this decision perhaps led to a decision to use very tight headshots for most, if not all, of the songs. I’m not saying the headshots are bad, but when you do it for all the songs it gets rather tiring being in everyone’s face all the time. Give me some variety – some sweeping shots – show me more of Paris. That and they had problems keeping the faces in focus. What I really, really, hate is the use of the handheld camera. I don’t know if it was necessary to maintain the closeups, but I detest the constant bobbing of the handheld camera – it makes me motion sick. I don’t know who decided the use of a unstabilized camera injects realism/grittiness into a film, but that person should be shot. The human visual system is excellent at tracking motion in reality and when a large portion of the field of view is bobbing up and down without the inner ear detecting anything, this disconnect just causes nausea. USE A STEADICAM. Oh, and what’s with the tilted shots? What are we, teens from the 90s? There are a few songs that I didn’t recognize, but it appears that’s because I’m used to listening to incomplete soundtracks. The movie never really drew me in. I love the story and I teared up when Marius sings “Empty Chairs and Empty Tables” and more at the end scene where Valjean dies. But the overall movie lacked for passion, perhaps because the musical itself has some rough spots as well, which get magnified on the big screen. Still, I think that in better hands, this could have been glorious. Fans of the musical will have to see it, and should, but first-timers should really plan to see a stage performance. I can’t unplug/plug in an external monitor and have it automatically recognized. I have to pull up the nVidia X Server Settings app and then detect and enable the display manually. And if I don’t disable the display before unplugging, I can’t seem to disable the display without restarting. Audio over HDMI (via a Mini Display Port adapter) doesn’t work. The output doesn’t show up in the Sound control panel. The system bell in the terminal did not work. 1 and 2 were solved by upgrading to a newer version of the nVidia driver than the one currently in repository. I added the Ubuntu-X Swat PPA, which tracks newer versions of the driver, along with other newer, but considered stable, xorg components. I avoided the xorg-edgers PPA, which is to far on the bleeding edge for my taste. To make this permanent for your user profile, add the pactl line to ~/.xprofile and the xset line to ~/.bashrc. Debugging a Bash script today and ran into this problem – return/exit codes from functions may not exceed 255! My script backed up a subversion repository only when a new version of the repo existed, however, the function that checked the version had it’s output returned modulo 255, causing a problem. assigns the result from the function check_version to curVersion. I have a Canon EOS 20D and recently I started using SDHC cards for storage in combination with an SD-CF adapter. Works great and SDHC cards are 1) pretty cheap compared to CF cards and 2) work with all the other devices I have that support SDHC, including my MacBook Pro. I got a pair of 16GB cards and it’s pretty hard to use them both up on long trips. I ended up using only a little over one card on my recent two week vacation where I shot about 2000 photos in RAW+JPEG mode.